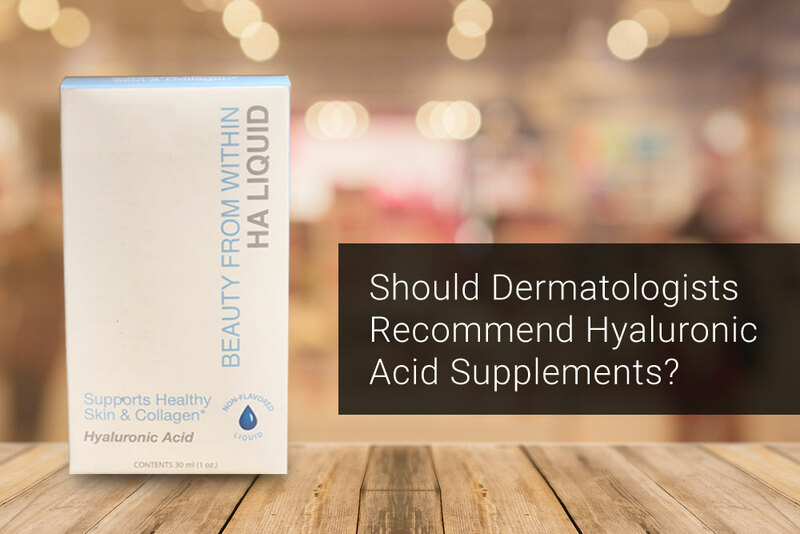 Patient Buzz: Should Dermatologists Recommend Hyaluronic Acid Supplements? In a recent interview on Good Morning America, dermatologist Dr. Whitney Bowe mentioned hyaluronic acid (HA) supplements as a possible treatment to moisturize dry skin. Since Dr. Bowe said research on these supplements is preliminary, how should you respond if a patient asks about oral HA? For an expert opinion, I consulted Wendy E. Roberts, MD, a dermatologist in private practice in Rancho Mirage, Calif., and founder of the Generational Dermatology Symposium. What is your opinion on the effectiveness of hyaluronic acid supplements for dry skin and wrinkles? I am always cautious about oral supplements with no science. It could effectively help or effectively hurt. We just don’t know, and it is systemic. I think about the total body and not just skin. How do our kidneys, liver, and brain handle oral HA? Who knows what it is doing? Even well-studied oral agents may cause inadvertent harm. However, the other side of that coin is there are ancient oral herbal remedies that work with no known science. There are few studies that show whether ingestion of oral HA is helpful or harmful. A small, 20-patient study in the Journal of Evidence-Based Integrative Medicine shows a favorable outcome. The Japanese experience also shows some efficacy. Side effects of HA include allergy, dermatitis, urticaria, GI upset, shortness of breath, nausea and shock. Therefore, like any oral agent, HA should not be ingested without knowledge of these possible side effects. We must inform our patients. If ingested, it should be in moderation until deemed safe in an individual. Long-term studies regarding safety of oral HA are non-existent, so we cannot tell our patients this is safe or effective over the long term. How should a dermatologist respond if a patient asks about these supplements during an office visit? I would probably advise my patient to rejuvenate and hydrate their aging dry skin and wrinkles with known traditional methods rather than the unknown. There are so many great topicals, injectables, devices and proven nutraceuticals that have excellent safety and efficacy data. Wait for some more data on oral hyaluronic acid. Did you enjoy this post? Find other articles on Aesthetic Derm here. How Did the “Generational Dermatology” Movement Start? Perceptions in Dermatology Series - Part 1: How Does the Public View Dermatology?